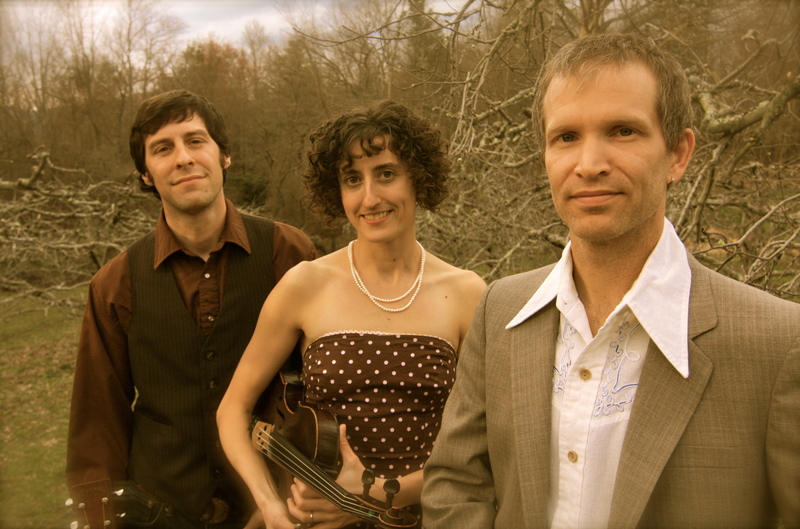 Red June is a dynamic, acoustic trio from Asheville, NC, performing beautifully distilled Americana music. The Red June sound is as versatile and original as the musicians themselves; they touch on bluegrass, roots rock, and traditional country music with powerful harmonies, innovative songwriting and expert musicianship. 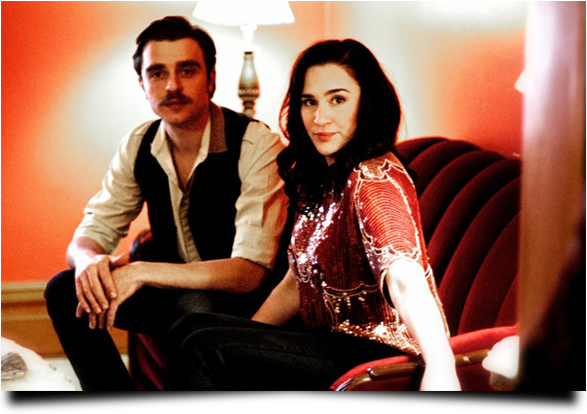 Red June is Will Straughan on dobro, guitar and vocals, celebrated fiddler and vocalist Natalya Weinstein, and John Cloyd Miller on mandolin, guitar and vocals. Red June will be performing on Saturday, July 2nd at the Whitehorse in Black Mountain, NC. The show is a double bill show with Mike Compton & Joe Newberry. “Red June is a combination of heart and harmonies with instrumental and vocal chops at the highest level. And the songwriting…well, bless my soul; and yours, ” states Joe Newberry, acclaimed North Carolina singer/songwriter. 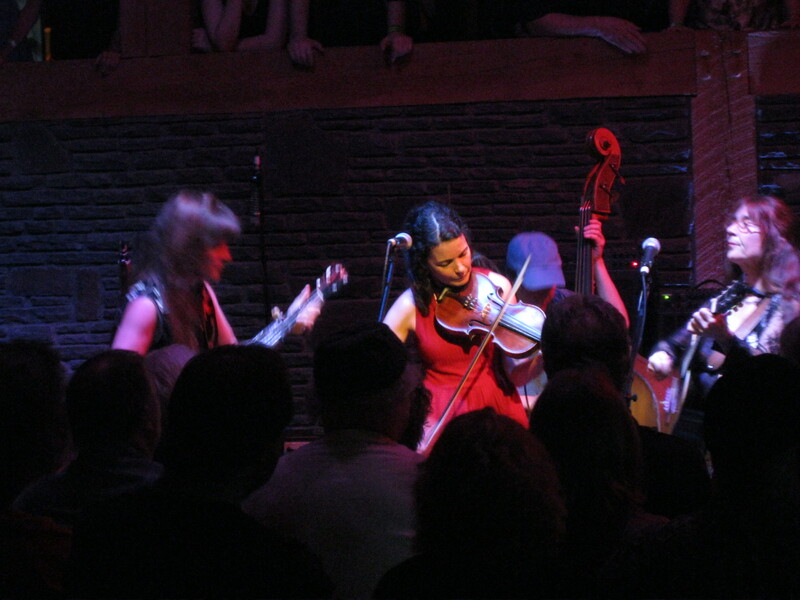 Veteran musicians Straughan, Miller and Weinstein formed Red June in 2008 after working in other acclaimed groups, namely the Emma Gibbs Band, Lo-Fi Breakdown and Polecat Creek. Members of Red June have shared the stage with countless bluegrass and Americana greats such as James Taylor, Robert Earl Keen, Sam Bush, Donna the Buffalo, Joe Craven, Jim Lauderdale, Del McCoury, Derek Trucks, Alice Gerrard, Jim Shumate and B.B. King, and have performed at festivals across the country including RockyGrass, Grey Fox, Merlefest, Grand Targhee, MagnoliaFest and Shakori Hills. Red June is partnering with the Appalachian Sustainable Agriculture Project for their Homegrown Tour 2011 to highlight the importance of local, sustainable food systems. To emphasize their “Buy Local” message, Red June, (named after the heirloom apple variety) is donating $1 of each CD sale at live shows in 2011 to the Appalachian Sustainable Agriculture Project (ASAP). ASAP does critical work in WNC expanding local food markets, supporting farmers, and building healthy communities through connections to local food. Red June will take their Homegrown Tour out West this July and then up to the Northeast in August. Also, be on the lookout for them at Music City Roots this August as well as Bristol Rhythm and Roots. They are constantly creating new material and are currently planning a follow-up recording to “Remember Me Well,” Their 2010 release which was voted #1 in WNCW’s Regional Top 20 Contest. Find out more at: www.redjunemusic.com. 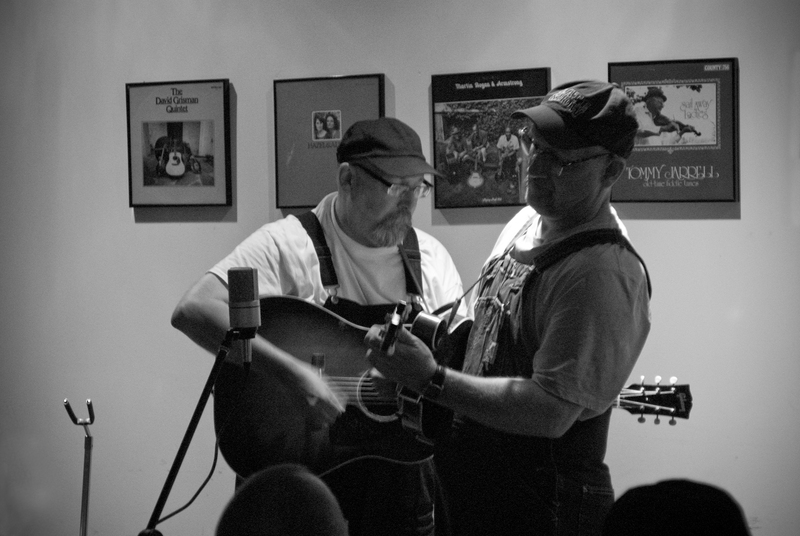 Traditional music veterans Mike Compton and Joe Newberry love to play together – and it shows. Although they live far apart, their music makes them seem like they are next-door neighbors. And audiences around the world agree. Mandolinist extraordinaire Mike Compton grew up in Mississippi, where he was exposed to music at an early age. A prolific composer, he has made a powerful mark in the old-time and bluegrass music worlds, including a fertile association with John Hartford in the Hartford String Band, as a long-time member of the Nashville Bluegrass Band, and with rock legend Elvis Costello. The multiple Grammy Award-winner treasures his memories of a friendship with his mentor, Bill Monroe. Joe Newberry is a Missouri native and North Carolina transplant who has played music most of his life. Best known for his powerful and innovative banjo playing, he is a prizewinning guitarist, fiddler, and singer as well. In addition to his work with Mike Compton, Joe makes music with the string band Big Medicine, and with old-time music stalwarts Bill Hicks, Mike Craver, and Jim Watson. He writes songs that show up on the Bluegrass charts, does solo and studio work, and teaches and performs at festivals at home and abroad. 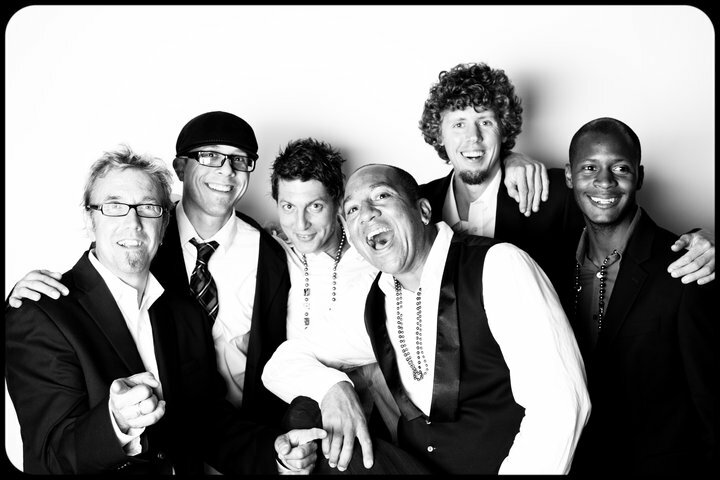 Joe and Mike are also members of the Jumpsteady Boys, a band they formed with friends Bruce Molsky and Rafe Stefanini that is taking the traditional music world by storm. Find out more at: www.mikecompton.net and www.myspace.com/joenewberry. Dehlia Low pushes bluegrass squarely into the Americana genre, combining their tenacious, authentic vocal style with extraordinary instrumental prowess in original songs that feel at once old and new. 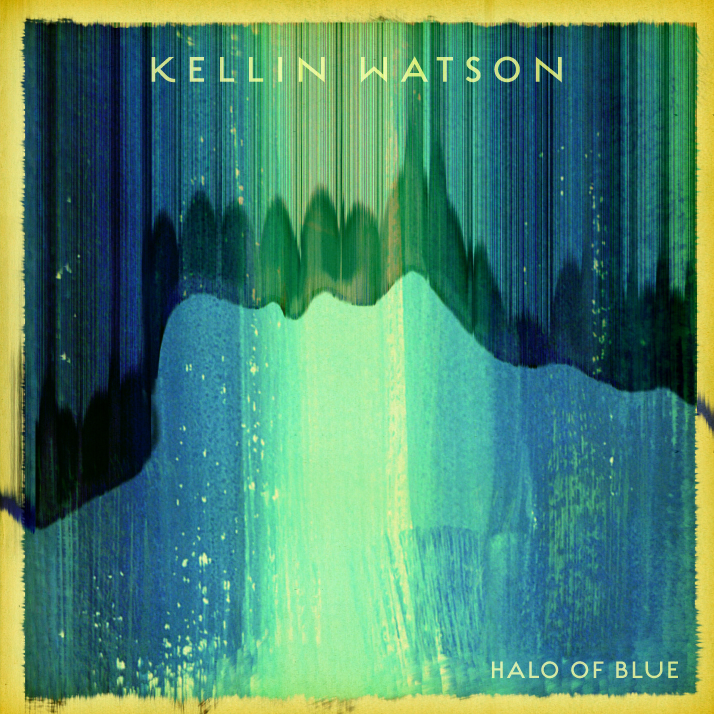 Their newest project Ravens and Crows will be their first release on the venerable Rebel Records label (Ralph Stanley, Steep Canyon Rangers) on August 2, 2011. The vocal harmony and instrumentation on the album reflect a deep connection to traditional music with modern arrangements and relevant, smart songwriting. Fans of Dehlia Low immediately latch onto the compelling, nostalgic vocals of Anya Hinkle, the group’s lead singer and fiddler, uniquely paired with guitarist Stacy Claude’s clear, unyielding singing. Greg Stiglets, on bass, has the edgy country vocals reminiscent of Steve Earle’s early days. Aaron Ballance frames their sound through his virtuosic and expressive resophonic guitar playing that is punctuated and textured by Bryan Clendenin’s inventive and powerful mandolin. The ten original songs are filled with compelling poetry that conveys a sense of time and place wholly familiar yet hard to categorize. Hinkle’s songwriting ranges from a coming-of-age gallop in “State of Jefferson,” to southern sounds and mythology in “Goin’ Down” and “Ravens and Crows,” to the mesmerizing, bluesy “Drifting on a Lonesome Sea.” Stiglets’s wordplay and cadence are Dylanesque in “Thunder,” while his imagery and melody are both intriguing and heartbreaking in “Ride” and “Better Left Unsaid”– all in sharp contrast to the hard-edged, bluegrassy “$40 Chain.” Clendenin’s “Change Up” showcases the instrumental work of the group. Of the two covers on the album, the band swings Willie Nelson’s “What Do You Think Of Her Now” behind Claude’s vocals, while taking “Cannonball Blues” to bare bones. Ravens and Crows follows two previous studio albums and one live album that have been released since the band formed in 2007. 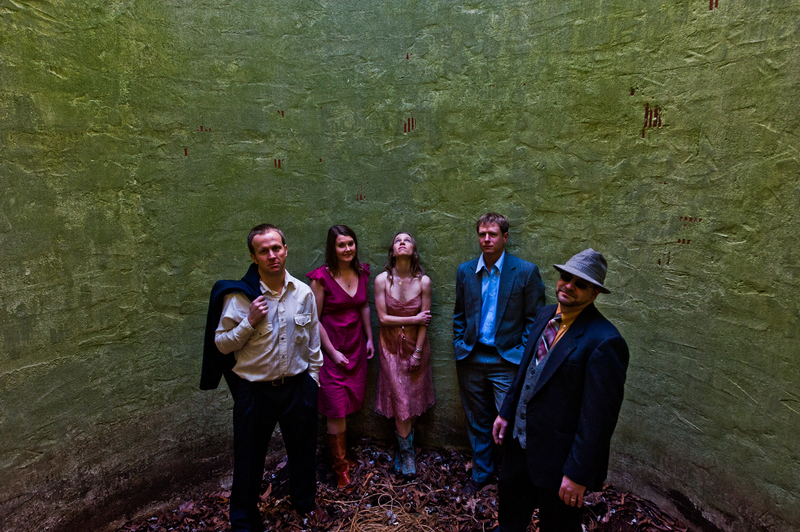 Their inaugural EP Dehlia Low and full-length studio album Tellico both scored in the top 20 of WNCW 88.7FM’s top 100 new releases of 2009 and 2010, respectively, and garnered praise from Bluegrass Unlimited, SingOut!, No Depression and others. The buzz led to an exciting tour in 2010 in support of Tellico, with appearances some of the most prestigious festivals in the U.S., including Merlefest and the Gettysburg Bluegrass Festival, where they shared the stage with the Stringdusters, Seldom Scene, and Alison Krauss and Union Station. 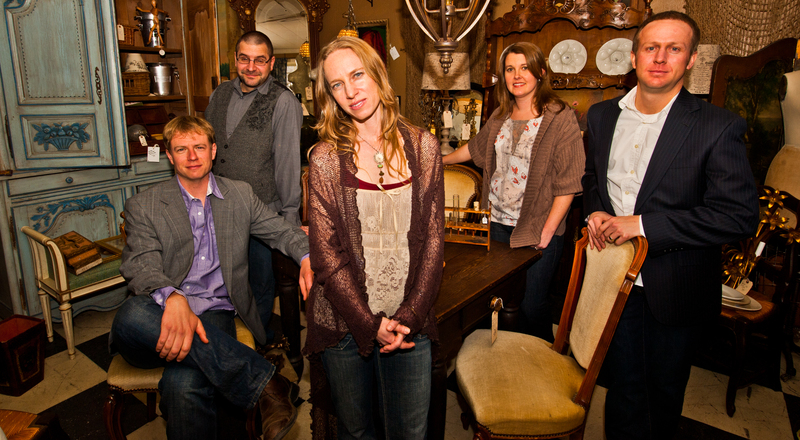 In 2011, Dehlia Low will be taking their “Appalachiagrassicana” sound across the U.S. and Canada in support of the new album. 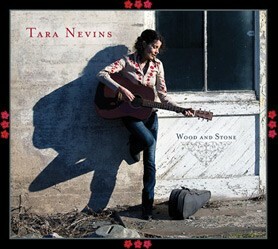 American roots traditionalist Tara Nevins’ new release, ‘Wood and Stone’ is an exploration of her own heritage, musical and otherwise. Released on May 3rd, 2011 on Sugar Hill Records ‘Wood and Stone’ was produced by Larry Campbell at the Levon Helm Studios in Woodstock, NY. Nevins will be performing a set of music from the new album live “From The Living Room to the Loft” on Wednesday, July 6th at 10pm. The Heartbeats, the all-female, old time/Cajun band that Tara has played with for years, will be joining Tara on stage at the Living Room in NYC and the evening’s show is recorded to air on Sirius XM. Also joining Tara and the Heartbeats will be Lora Pendelton- Guitar and Vocals, Thomas Bryan Eaton- pedal steel, Barry Mitterhoff (from Hot Tuna)- Mandolin. 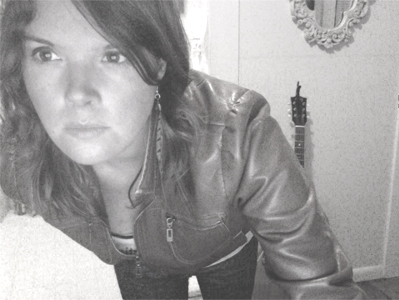 Visit www.TaraNevins.com for more information about the album,a gallery of images, videos, music and lyrics. Wood and Stone showcases Nevins’ ever-evolving repertoire as she journeys both back to her own “roots” and head-long into new territory. Featured guests on the album include Levon Helm, Jim Lauderdale, Allison Moorer, Teresa Williams, The Heartbeats, along with the core band of Larry Campbell, Justin Guip, and Byron Isaacs. Grab your knitting needles and crochet hooks and join the Mobile Art Lab! 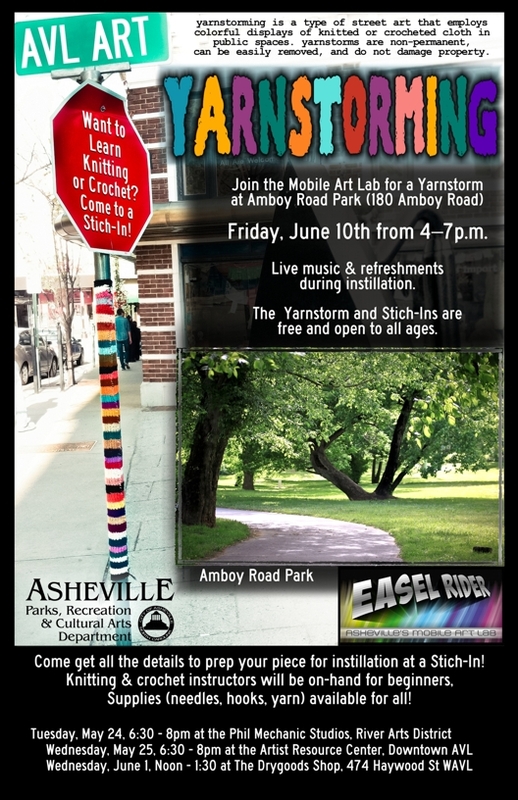 Part of the City of Asheville Parks, Recreation, and Cultural Arts Department – for a Yarnstorming on Friday, June 10 from 4:00 – 7:00 p.m. at Amboy Road Park. The event is free and open to all ages. Music and refreshments will be available. “Yarnstorming” refers to the idea of wrapping items in public spaces in specially-designed hand-knit or crochet materials. All of the wraps will be removed from Amboy Road Park within a week of the installation. For further information, contact Diane Ruggiero, Superintendent of Cultural Arts, at 828-259-5815 or druggiero@ashevillenc.gov. As summer gets underway, residents and tourists flock to New York’s lakes, rivers, and streams to enjoy the state’s unique natural and recreational resources. The recently launched Finger Lakes CleanWaters Initiative has teamed up with citizens and environmental organizations and the Finger Lakes GrassRoots Festival of Music and Dance for a two-day event to raise awareness of the impacts of unsafe natural gas development using hydraulic fracturing (“fracking”) on water and public health. The weekend kicks off in Binghamton on Friday, June 3, 4-11pm, with a “Small Splash!” at Atomic Tom’s Art Gallery (200 State Street), including art, a performance by Chris Merkley and Jamie Willard, citizen outreach, guest speakers, and beer & wine. Proceeds to benefit the Finger Lakes CleanWaters Initiative. 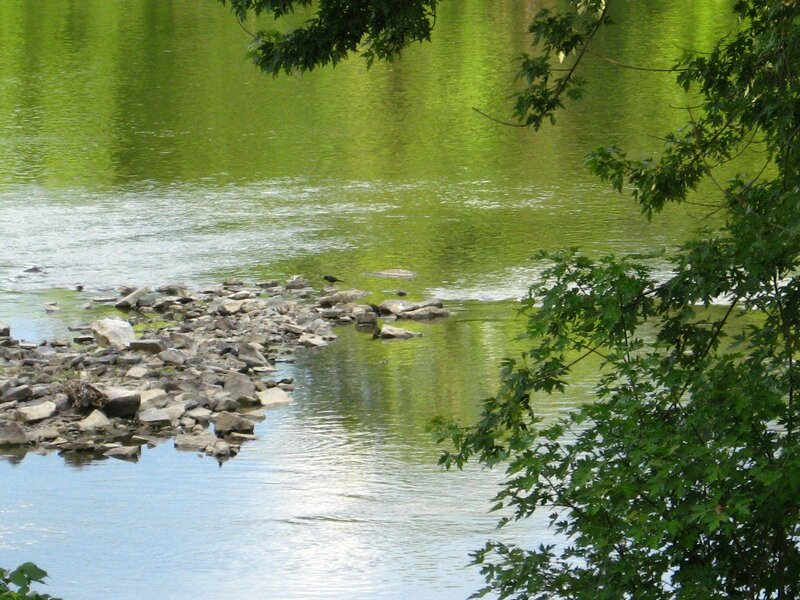 On Saturday, June 4, the Southern Tier Clean Waters Symposium will be held at the RiverWalk Hotel in Binghamton. The event will begin at 10:30 am with a presentation by Attorney Joe Health on how to end a gas lease (an issue of growing concern to landowners in the Finger Lakes). A keynote address by renowned author, ecologist, and Ithaca College Distinguished Scholar Sandra Steingraber will focus on the threats to children’s health and futures from environmental damage, including industrial gas drilling. The afternoon will be devoted to a workshop on the health effects of hydrofracking moderated by Dr. Walid S. Hammoud, President of the Broome County Medical Society. Expert panelists include Dr. Ron Bishop of SUNY Oneonta; chemical safety and hazardous materials specialist Tom Shelley; Dr. Adam Law of Weill Cornell Medical College; and Dr. Michelle Bamberger of Vet Behavior Consults. On Sunday, June 5 from 11am-9pm, The Binghamton Big Splash! will take place in Recreation Park. Live bands will perform in celebration of water resources and the work being done to defend them against unsafe gas drilling. Bands include YOLK, Sim Redmond Band, Drift Wood, Richie Stearns and the Evil City String Band, The Burns Sisters, Thousands Of One, Dutch Bucket System, The Green Deeps, Driftwood and Cabinet. The Syracuse Big Splash! will take place on Sunday, June 12 from 11am-9pm at the Inner Harbor in Syracuse with Donna The Buffalo, Sophistafunk, Ayurveda, Tim Herron Corporation, Thousands of One with more to come. Both Big Splash! events will include information booths, food vendors, and live solar energy demonstrations. All CleanWaters Initiative events are open to the public and free with a suggested $10.00 donation. For more information, visit http://fingerlakescleanwaters.org, contact info@fingerlakescleanwater.org, or check out the events on Facebook. Event sponsors include The Finger Lakes GrassRoots Festival, City of Binghamton, City of Syracuse, Binghamton River Walk Hotel, Binghamton Regional Sustainability Coalition, Catskill MountainKeeper, Coalition to Protect New York, Earthworks Oil & Gas Accountability Project, Frack Action, New York Residents Against Drilling, ShaleShock, Sierra Club Atlantic Chapter, Gas Free Seneca, Cayuga Lake Watershed Network, and others.